In the middle of September, Annette and I took my mother to Assateague, as we have a few times before. 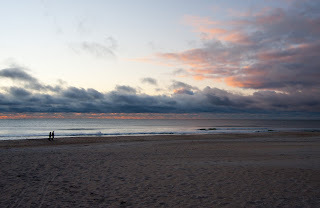 One of the great things about the trip was that even though it was raining for the entire time back home, the weather in Assateague, Chincoteague and Ocean City was OK. It was overcast but no rain that stopped us from doing anything. 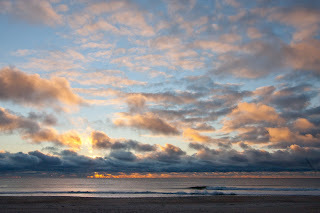 Each of the two mornings we were there, Annette and I got out of bed early and headed to the beach for sunrise. However, because of the aforementioned weather, the sunrises were not spectacular. But we tried our best to make some worthwhile images. Notice the handicap accessible viewing platform on the right. Mom was very interested in the platform because my sister’s ex-husband had gotten married there just a few weeks earlier. It is a beautiful setting. 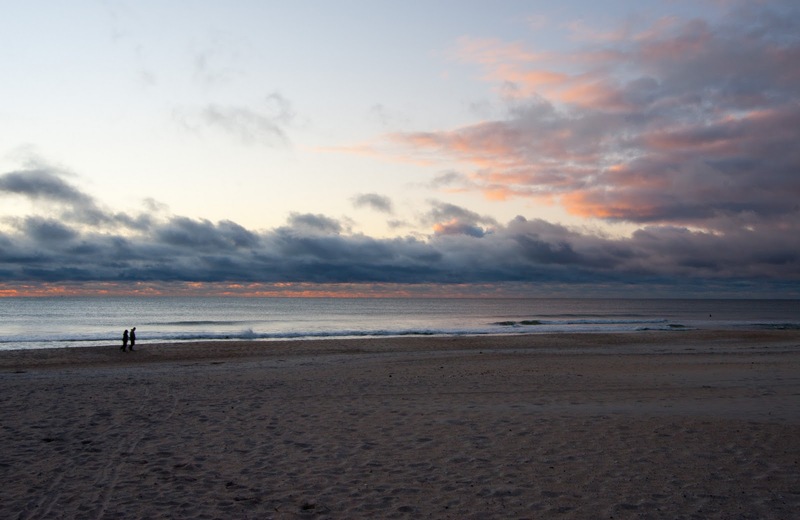 This shot shows the emptiness of the beach at that hour of the day. If you are looking for a picture without people, get up early! Well…You can’t avoid people altogether! However, this early-morning couple add a sense of scale to the image. In this image, the wide-angle lens helps gives a sense of wide open space that is textured by the clouds. In all of these images, I was experimenting with the capabilities of Annette’s new wide angle (10-22mm) lens. Sometimes a new pieces of equipment will give you a new way of seeing.